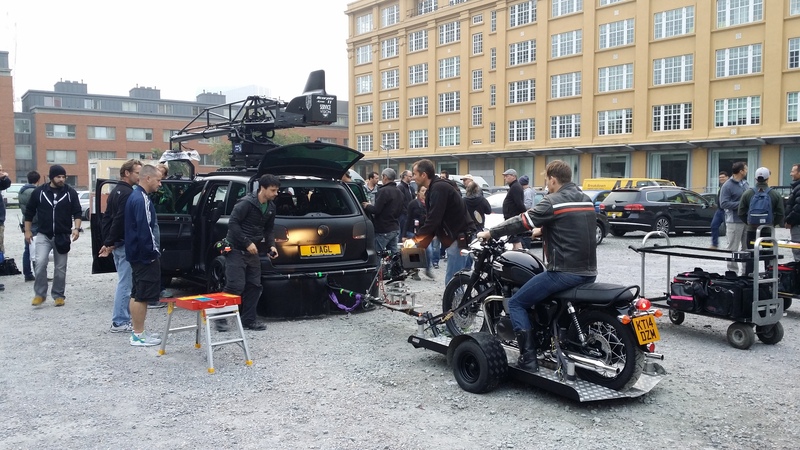 The Mini Low Loaders are a simple alternative to the Banking Rig for camera tracking with Motorcycles, Bicycles mobilty scooters, Wheelchairs etc . 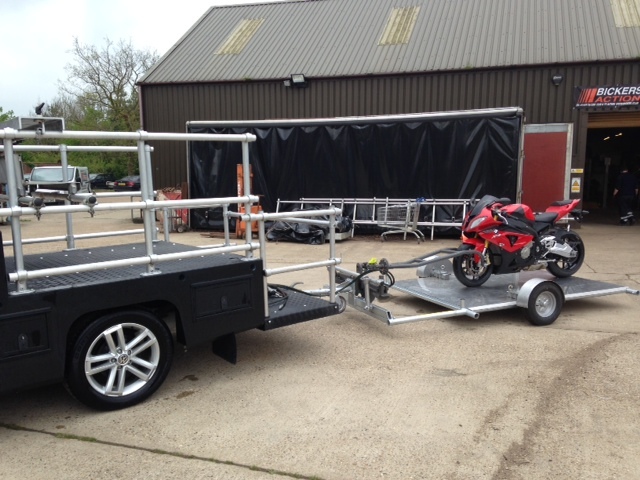 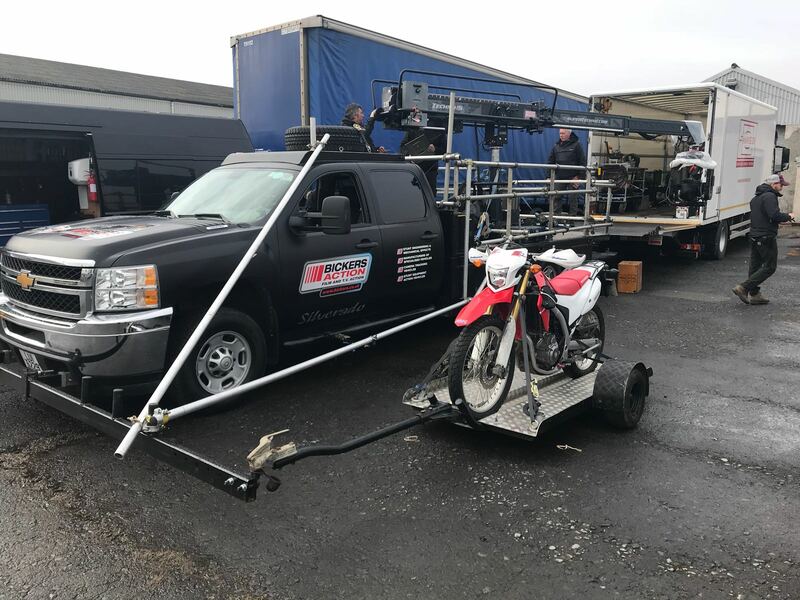 These Low Loaders will carry the Motorcycle/Bicycle approximately 50mm from the ground with the wheels Not rotating and the Motorcycle/Bicycle does not lean – it is in a static securely fixed position on the Low Loader. 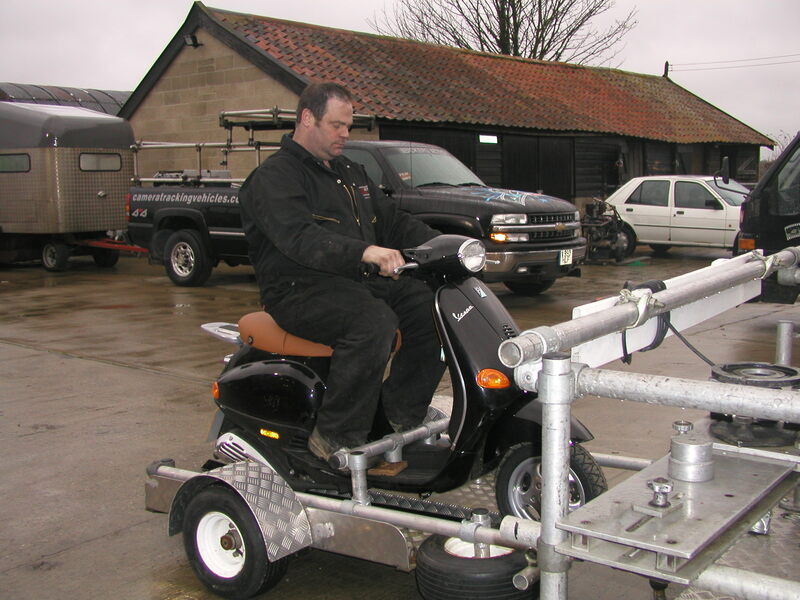 This is an easy concept to set up and safe to use, with no prior viewing of the Motorcycle/Bicycle required – it is most suited for Head, Shoulder and upper Torso shots with the lowest angle approximately at the front mudguard. 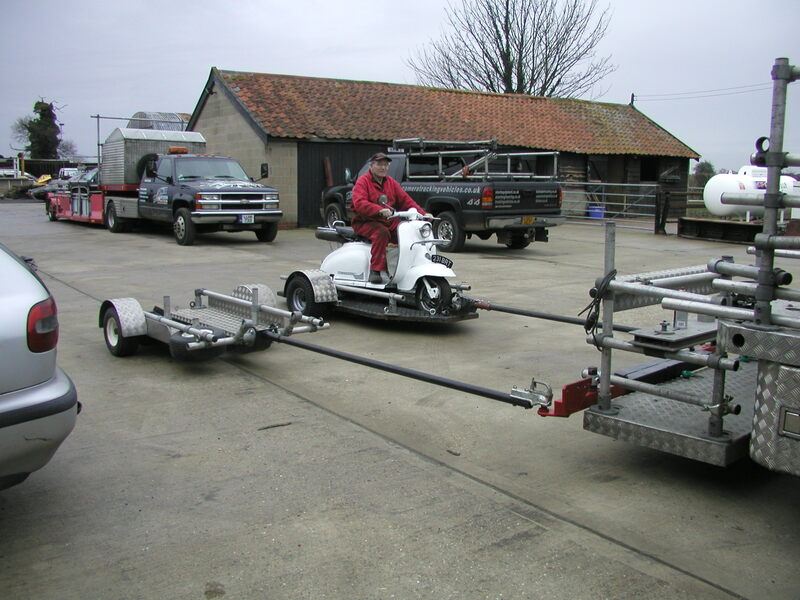 With prior notice the Mini Low Loaders can be specifically rigged to track with 2 Motorcycles/Bicycles at the same time. 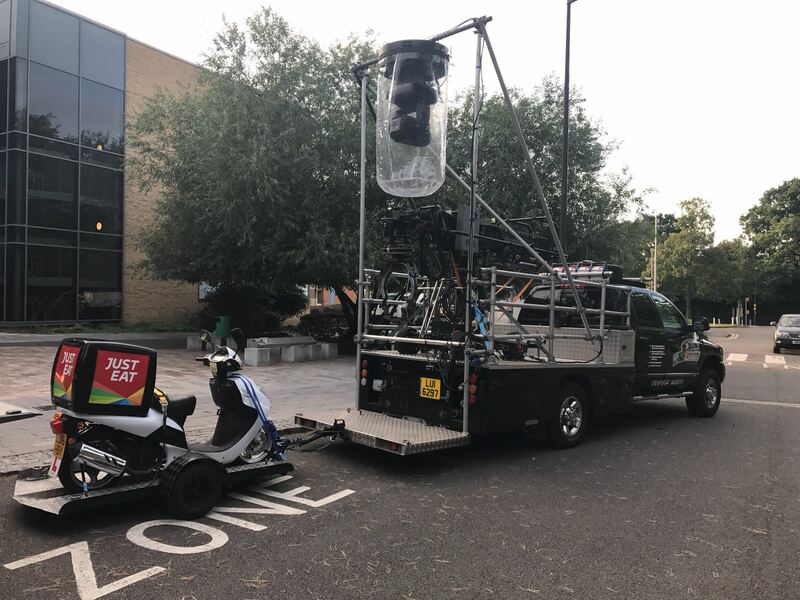 They can be towed by one of our conventional Tracking Vehicles or alternatively if your location has narrow paths or roadways, they can be towed by a smaller Tracking Vehicle.